Create Custom Package with these great bike kits! Some bike kits come complete with everything you need, others require additional parts. If none of these kits are what you're looking for, build one from scratch with our "Create Custom Package" feature! The HR3 line from Custom Chrome is the best selling line of bike kits on the market. Each kit includes everything except paint and gas, making them the most complete kits on the market. 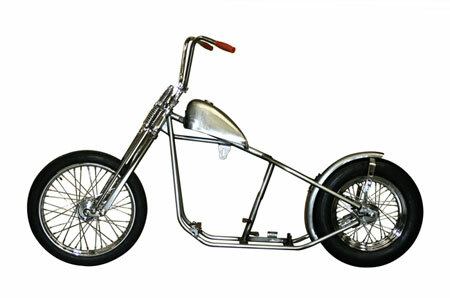 Find Out More about Custom Chrome's Chopper Kits! Find out more about Bike-In-A-Box Bike Kits! Looking to build a head turning chopper this season? Want top-notch components, most of whic are made in America? 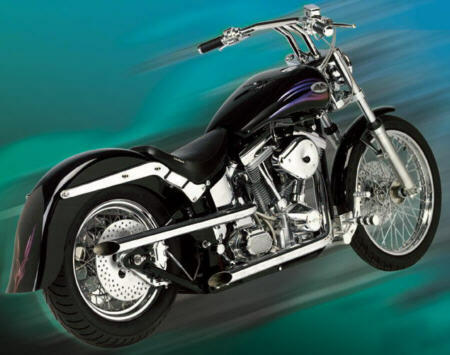 Pro One offers a full line of pro street and chopper kits for your next project! Find out more about Pro One Bike Kits! Sucker Punch Sally is known for supplying stripped-down, ultra cool bobbers that anyone can afford. Perfect for the do-it-yourselfer who is on a tight budget. Find out more about Sucker Punch Sallys Kits! 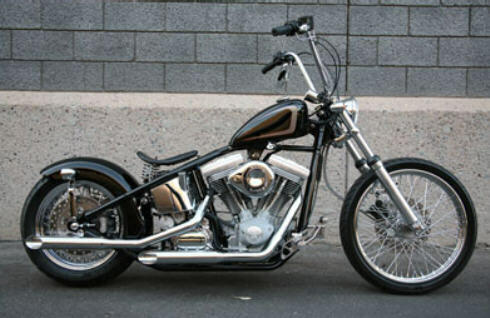 Flyrite offers a number of chopper kits, from wide tire monsters to old school bobbers. Twisted Choppers offer radical rolling chassis kits that can be configured any way you want, and they're made in America. Washington Choppers is home of the "Chop Bob", old school style bobbers and choppers. Learn more about Washington Choppers Chop Bobs! V-twin offers several replica bike kits and rolling chassis that offer everything you need to build a old-school panhead or knucklehead. Click here for more information on Replica Kits! Ultima off complete bike kits that offer superior performance at a reasonable price. All kits are nearly complete and feature El Bruto engines. Learn more about Ultima Bike Kits! 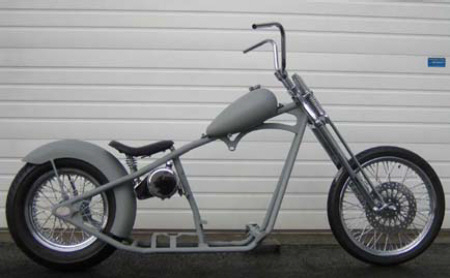 A rolling chassis is a great way to start your next chopper project. 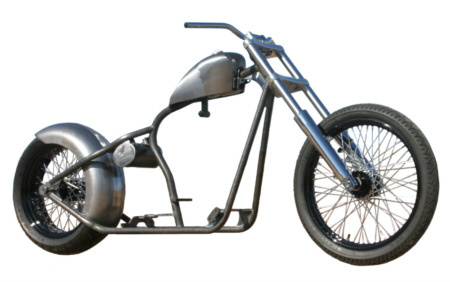 Chopper surplus offers a variety of rolling chassis kits, or give us a call or email us, and we'll put together a custom rolling chassis kit for you!